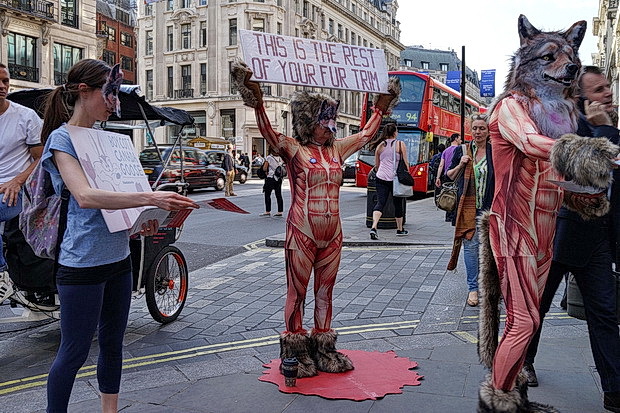 Seen outside the Canada Goose flagship store in Regent Street, central London, these protesters were highlighting the cruelty that goes into providing the fur trim for the company’s high-end winter jackets. 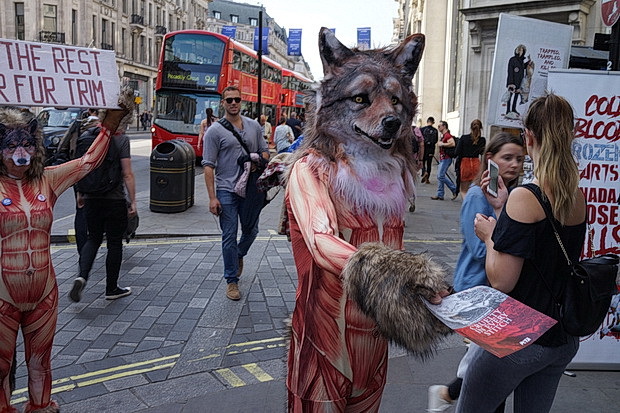 Cruelty can be found in every stitch of Canada Goose’s jackets and other clothing items. Wild coyotes trapped for the company’s fur-trimmed jackets can suffer for days and face blood loss, shock, dehydration, frostbite, gangrene, and attacks by predators. Mothers desperate to get back to their starving pups have attempted to chew off their own limbs to escape. 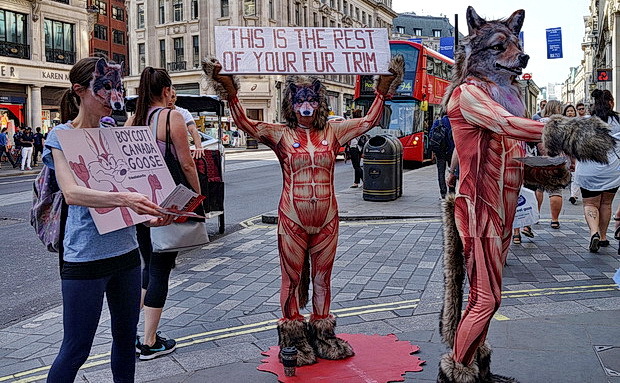 Animals who don’t succumb to the elements, blood loss, infection, or predators are often strangled, stomped on, or bludgeoned to death when the trapper returns.